Want to help the little things out? 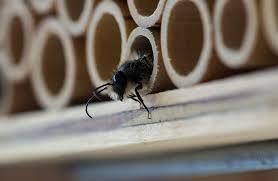 Join us today to learn how to create nesting sites and housing for our insect friends. We will be crafting our own bug shelter out of natural materials and recyclables and chatting about the steps you can take to ensure your garden is abuzz with activity!